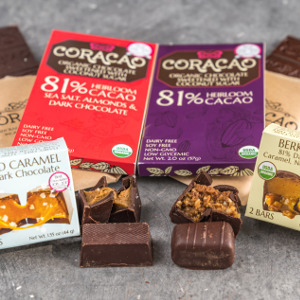 Coracao Confections was founded in the Bay Area of California in 2008 by pastry chefs and raw food enthusiasts Matthew Rogers and Daniel Korson who set out to create incredibly healthy and delicious chocolate. Their mission is to replace cravings for junk-food chocolate with nutrient rich, decadent, raw cacao treats. Their chocolate begins with small, organic farms around the world that sustainably grow cacao trees underneath lush rain forest cover and in naturally mineral-rich soil. 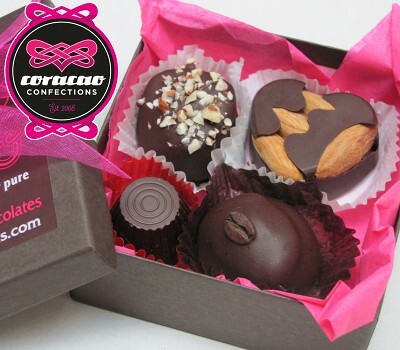 Follow Coracao Confections and get notified when they add new offers to Vegan Cuts.